DriveNow allows customers to rent vehicles by the minute. (Bloomberg) -- Germany's Sixt says its car-sharing venture with BMW Group is profitable in cities where it has been operating for more than a year as sign-ups exceed forecasts. "We've been surprised about the explosion of new subscriptions, which has helped boost revenue," Erich Sixt, CEO of the car-rental company, said Tuesday on a conference call with reporters. BMW and Sixt operate the DriveNow service in the German cities of Berlin, Hamburg, Cologne, Munich and Dusseldorf, as well as in San Francisco. DriveNow allows customers to rent vehicles by the minute for point-to-point trips, and to leave the car parked on city streets when they're finished. The fleet includes models from BMW's Mini brand plus the 1-series compact and X1 compact SUV from the namesake marque. 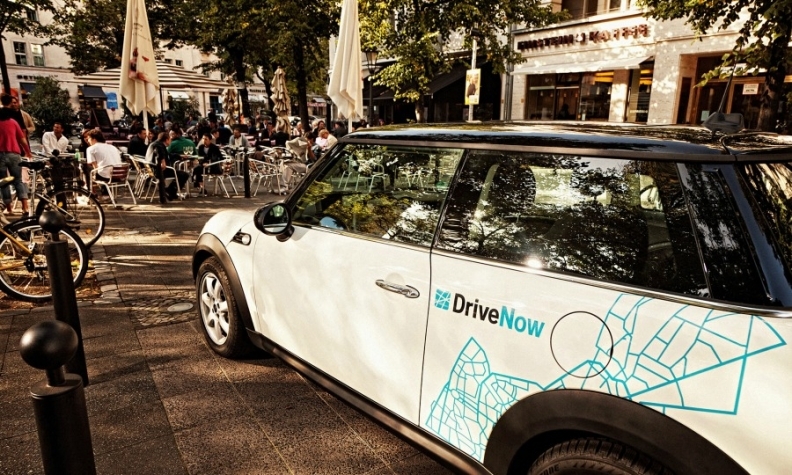 The partners are in talks on the terms of expanding DriveNow under a five-year plan to reach 25 cities in Europe and the U.S., Erich Sixt said. Even with the profitable locations, Sixt still expects a "small-to-medium, single-digit" million-euro loss for DriveNow this year as startup costs in new areas outweigh revenue gains, Chief Financial Officer Julian zu Putlitz said. Membership has grown to more than 300,000 customers from 215,000 at the end of last year, Sixt said. "We didn't expect such a dramatic rise in membership," the company added. The program's main competitor is the Car2Go service from rival carmaker Daimler that offers Smart-brand two-seat autos by the minute in about two dozen cities. Sixt's second-quarter net income jumped 12 percent to 28.3 million euros ($37.7 million) as sales rose 8 percent to 441 million euros, the company said.